CAMP HILL, Pa. — Rite Aid Corp. saw sales edge up and earnings decline for its fiscal 2016 first quarter, and the company for the first time gave full-year guidance that includes its pending acquisition of pharmacy benefit manager EnvisionRx. Rite Aid said Thursday that for the first quarter ended May 30, net income totaled $18.8 million, or 2 cents per diluted share, compared with $41.4 million, or 4 cents per diluted share, a year earlier. The company said the decrease stemmed mainly from interest and other incremental pretax costs of $36 million, or 2 cents per share on an after-tax basis, from the purchase of EnvisionRx, which was announced in February. The incremental costs were partially offset by an increase in adjusted EBITDA (earnings before interest, taxes, depreciation and amortization). Excluding the costs related to the EnvisionRx transaction, Rite Aid’s first-quarter earnings were above Wall Street’s consensus estimate by a penny. Analysts, on average, had forecast the company’s first-quarter adjusted earnings at 3 cents per share, with estimates ranging from a low of break-even to a high of 5 cents, according to Thomson Financial. Adjusted EBITDA for the quarter came in at $299.3 million, or 4.5% of revenue, versus $282.6 million, or 4.4% of revenue, in the year-ago period. 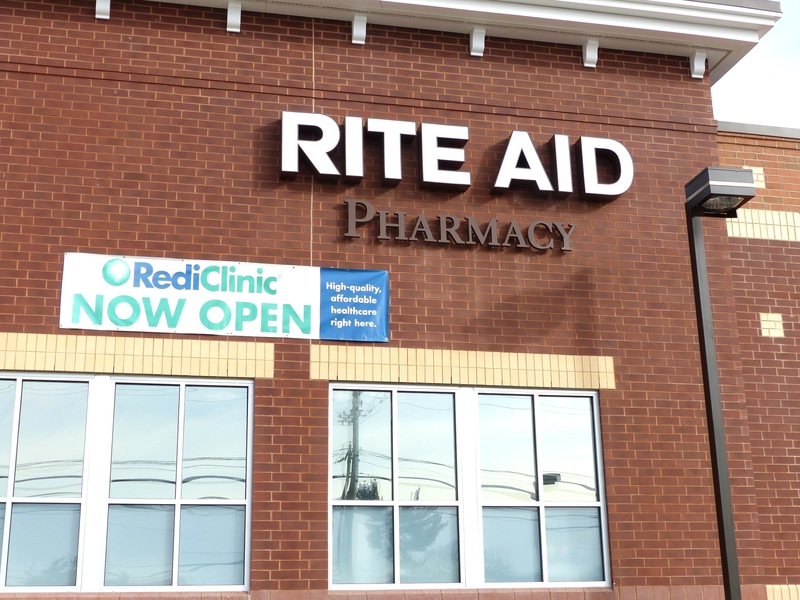 Rite Aid said the gain reflected increases in front-end and pharmacy gross profit, partially offset by a rise in selling, general and administrative expenses related to the drug chain’s higher level of sales, clinic expansion and rollout of the Plenti coalition loyalty program. Meanwhile, first-quarter sales rose 2.8% to $6.6 billion from $6.5 billion in the prior-year period, fueled primarily by increased same-store sales, according to Rite Aid. Comparable-store sales for the quarter were up 2.9% year over year, including gains of 0.6% in the front end and 3.9% in the pharmacy. Rite Aid said comparable pharmacy reflect a negative impact of 165 basis points from introductions of new generic drugs. Prescriptions count in comparable stores gained 1.6%, and prescription sales accounted for 69.1% of overall drug store sales in the quarter. “Our first-quarter results reflect the continued progress we’re making in positioning Rite Aid for growth, including increases in same-store sales, same-store prescription count and adjusted EBITDA,” Rite Aid chairman and chief executive officer John Standley said in a statement. During the first quarter, Rite Aid relocated two drug stores, remodeled 108 stores and expanded one store, increasing the total number of locations with its Wellness Store format to 1,741. The company also shut four stores, resulting in an overall store count of 4,566 at the end of the first quarter. Also on Thursday, Rite Aid updated its fiscal 2016 guidance to include the expected results of EnvisionRx for the period following the completion of the transaction, expected by the beginning of July, earlier than the company’s previous expectation of September. The updated guidance also reflects the cost of refinancing Rite Aid’s 8% first lien notes due in 2020. Fiscal 2016 net income is now projected at $150 million to $230 million, or 14 cents to 22 cents per diluted share, down from Rite Aid’s previous guidance — which did not include the impact of the EnvisionRx acquisition — of $190 million to $275 million, or 19 cents to 27 cents per diluted share. Analysts, on average, forecast full-year adjusted earnings per share at 26 cents, with estimates running from a low of 24 cents to a high of 31 cents, according to Thomson Financial. Rite Aid expects fiscal 2016 sales — including PBM revenue from EnvisionRx — of $30.7 billion to $31.2 billion. Drug store sales are forecast at $26.9 billion to $27.4 billion, with same-store sales expected to climb between 2.5% and 4.5%. Adjusted EBITDA for the year is pegged at $1.350 billion to $1.450 billion. Capital expenditures are expected to be about $665 million.